Our collection of blinds all come with a minimum 12 month product guarantee and 3 year installation guarantee. Our blinds are Energy Rated to help you maximise your energy saving. For your peace of mind we fit as standard either a tensioning device or safety mechanism to minimise risk to children and vulnerable people. This is at no additional cost. 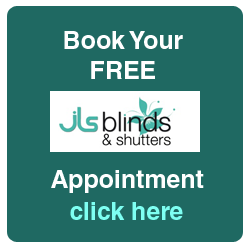 John and Steve have over 43 years experience between them fitting Domestic and Commercial blinds in the Kent area. They offer a FREE home design service . During this consultation they will measure to ensure the best fit; bring sample books so you can be sure of a good colour match to your existing colour scheme; and bring sample blinds and shutters to allow you to experience the look. This also gives you a chance to check the quality of our products before you buy. We are so confident in our ability to supply and fit great quality products, that all our blinds and shutters come with a minimum 12 month product and a 3 year installation guarantee. Call now on 01233 226570 to book your appointment for a FREE no obligation quotation. 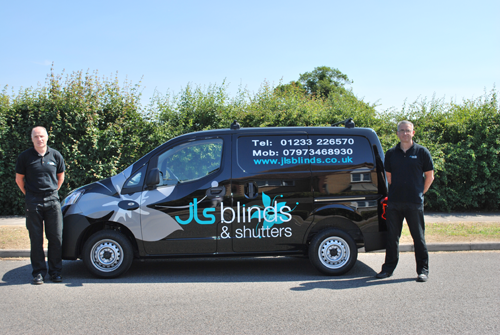 The latest addition to the JLS team is Stephen who after working for many years in the blind industry with a manufacturing background enables us to expand and offer our services into North Kent and South East London. For a FREE home design service in Gravesend and the surrounding areas call Stephen on 01474 632501 or 07704 509989.